Basically there are two types of entry tests after intermediate in Pakistan for getting admission in professional colleges i.e MCAT ( Medical college admission test) and ECAT ( Engineering colleges admission test). 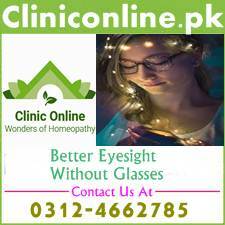 Both the tests are objective type tests and mostly MCQs and short questions are asked in these entry tests. Entry test preparation has become a big issue for students of FSc pre medical and FSc pre engineering as they can not get admission in professional colleges without passing these entry tests with good marks. Unfortunately some publishers and academies are taking benefit of this situation just for the sake of money. It is portrayed by these elements that entry test is something very difficult and which can not be cleared without having some extra support in form of entry test preparation books and entry test preparation classes. Lets analyze that what is the real situation. In both types of entry tests objective questions from elective science subjects of FSc and English are asked. You can not take chance in these MCQs due to possibility of negative marking in case of wrong answer. They only method that lefts for you for entry test preparation is to understand each topic of elective science subjects. Your understanding of each concept will guarantee your success in entry test. Without clearing your concepts you ca not perform well in entry test. Mere helping books and remembering the selected MCQs will not benefit you at all. If your basic concepts are clear then you may join any academy in test sessions but even demo tests are available on internet and in entry test preparation guides. So best strategy for entry test preparation is to clear your remaining concepts of science subjects after the FSc exams. Yes for this purpose you can join some academy. After clearing your concepts of every topic of Physics, Chemistry, Biology and Mathematics, first of all prepare the objective questions given in your text books at the end of each chapter. Paper setter of ECAT and MCAT can not ignore these short questions which are the result of collective wisdom of distinguished writers. After that you may prepare some objective questions from any key book. Numerical and short questions given at the end of each practical are also very important from the entry test preparation point of view. As far as English section of entry test is concerned, you will have to improve your vocabulary and general grammatical skill as questions in this section are not taken from text book. UHS issue syllabus of English every year. prepare that syllabus and vocabulary first and side by side improve your English grammar. The best way to improve your vocabulary is to read English newspapers/books and watch English news channels. Previous years papers and syllabus will also be helpful for you for having the idea about paper pattern and format. Never take entry test as some thing impossible, if you have got good marks in FSc then definitely you can go through entry test too. Don’t allow entry test to envelope your nerves and follow the strategy of turtle by not leaving the studies after the annual exams of FSc until the entry test. 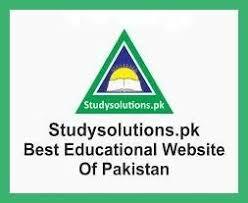 Stay in touch with your own website and its face book age for having super tips for MCAT, ECAT and UET entry test preparation.